The R Arithmetic operators include operators like Arithmetic Addition, Subtraction, Division, Multiplication, Exponent, Integer Division and Modulus. All these operators are binary operators, which means they operate on two operands. 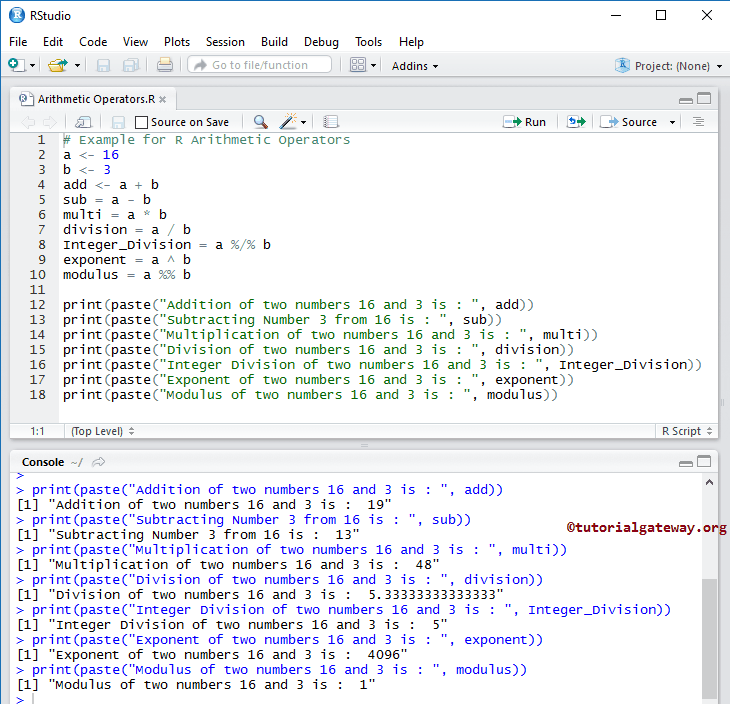 Below table shows all the Arithmetic Operators in R Programming language with examples. ^ Exponent – It returns the Power of One variable against the other 15 ^ 3 = 3375 (It means 15 Power 3 or 103). %% Modulus – It returns the remainder after the division 15 %% 5 = 0 (Here remainder is zero). If it is 17 %% 4 then it will be 1.